Worship Before the Snow! Saturday, Dec 21, 4:00 p.m.
Due to the prediction for significant snow fall Saturday night into Sunday morning, we are making plans to provide an opportunity for our community to gather for worship BEFORE the storm starts! At 4:00 PM this Saturday, December 21 we will worship in the sanctuary with a simple, traditional, casual format. There will be Holy Communion and many of the elements from our usual Sunday services, along with the Christmas Offering. 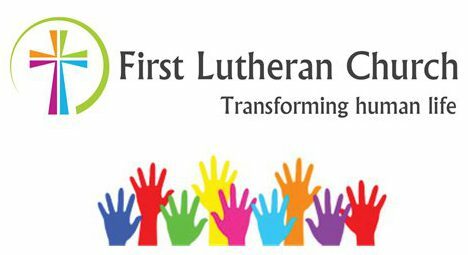 Worship is one of the cornerstones of our First Lutheran faith community and it is a priority for us to gather together in Jesus’ name each Sunday morning. This is a particularly special weekend in our congregation’s worship life as we are looking forward to celebrating and blessing our local community through the Christmas Offering. Each individual or family will discern what their gift will be toward this offering, which is over and above their regular giving to the mission of the church. We will monitor the weather forecast and conditions to determine plans for Sunday morning. Notification of Sunday’s worship status will be sent via email, posted on our Facebook page, and shared with local news stations. P.S. These kinds of weather situations can be challenging, but always seem to bring about a very meaningful, fun experience for those who come together to worship! Next All Saints Celebration and Balloon Release!